Massage does more than feel nice. It brings a whole host of wellness benefits, both physical and psychological, that are invaluable no matter your age or lifestyle. Here are ten ways massage will improve your life. It alleviates so many types of pain. Getting a massage can reduce pain in your limbs and joints, and ailments such as Carpal Tunnel Syndrome, arthritis, and fibromyalgia. If you have chronic pain in your lower back, recurring pains in your neck, pain following surgery, or pain from a joint replacement, massage will help with that! Massage is an excellent part of any fitness routine. It improves blood circulation and loosens up tight muscles. This improves your flexibility and makes your joints limber and less prone to injury. In addition, the improved blood circulation from massage will reduce soreness after a workout. It helps fight the sluggishness that comes with aging. In making you more aware of your body’s physicality, it keeps your joints limber and strong, improving your sense of balance and movement. Massage reduces blood pressure. 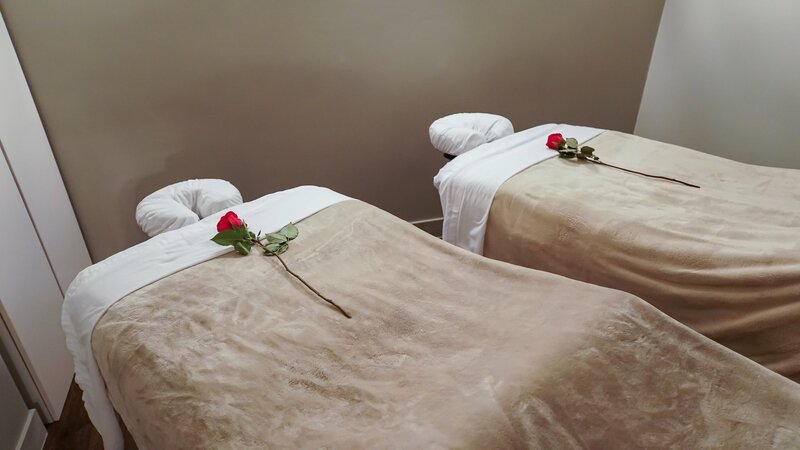 By enhancing blood circulation, massage improves your heart health and promotes a physical sense of relaxation. Massage relieves stress and anxiety. Numerous studies have shown that massage clears away stress hormones such as cortisol and adrenaline, and takes away your physical indicators of stress. This reduces your heart rate and blood pressure, leaving you in a much calmer physical state. Regular massage therapy will lead to a more consistent relaxed feeling. Having that feeling with you all the time will improve your overall mood! Massage therapy heals a lot of ailments that would otherwise keep you awake at night. Whether it’s anxieties or pains; sports injuries, headaches, or nerve and joint pain, the massages that alleviate those will also make it easier for you to fall asleep at night faster, and sleep deeper throughout the night. Massage therapy also stimulates activity in your white blood cells. They work to defend your body against pathogens, and fight off infections when you fall sick. In short, boosting your immune system is another awesome benefit of massage! Since many migraines and tension headaches are related to neck pain, clients often find that massages offer relief. Massage relaxes tense muscles, relieves muscle spasms, and improves blood flow. This relieves pain you have, and helps reduce the chance of future headaches. Massage improves quality of life in hospice care and helps to offset dementia. It has been shown to have a calming effect on elders who would otherwise have to live with high amounts of agitation and anxiety. Combined with the way massage helps improve sleep, immunity, reduce stress and fight off pain, massage is an essential part of a wellness program for people of all ages. For more information, get in touch with Massage in LA or book an appointment with us today!